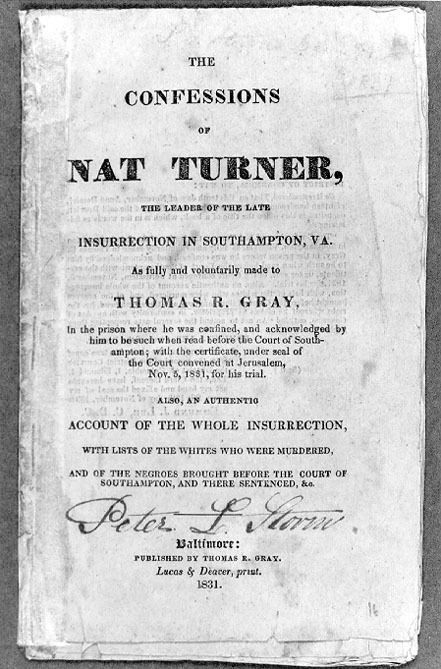 October 2, 1800: Nat Turner was born on the plantation of Benjamin Turner in Southampton County, Virginia, the week before Gabriel Prosser (see Aug 30) was hanged after a failed slave insurrection in Richmond, Virginia. 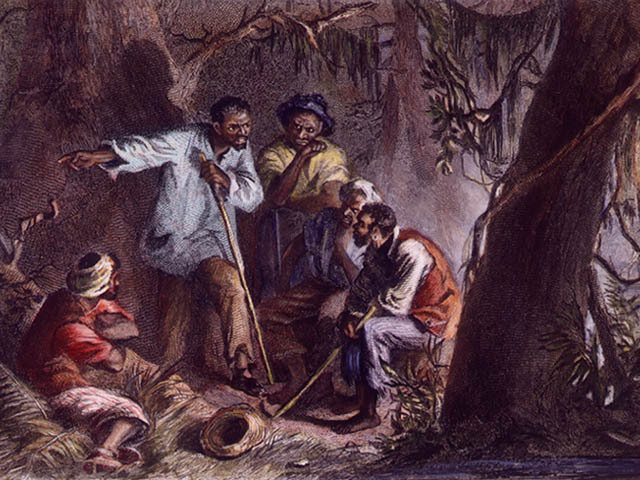 Benjamin Turner allowed Nat Turner to be instructed in reading, writing, and religion. While still a young child, Nat was overheard describing events that had happened before he was born. This, along with his keen intelligence, and other signs marked him in the eyes of his people as a prophet. Nat was given as a gift, along with his mother and grandmother, to Benjamin’s son Samuel around 1809, and formally willed in 1810. By 1822, Samuel had died, and his widow, Elizabeth Turner, oversaw Nat until she married Thomas Moore, who took formal ownership of Nat in 1823. By 1830, Southampton County was home to 6,573 whites, 1,745 free blacks, and 7,756 enslaved African Americans. It was in 1830 that Turner was moved to the home of Joseph Travis with his official owner being the young child Putnum Moore. Turner described Travis as a kind master, against whom he had no complaints. The Travis plantation was lived 411 acres and had 17 slaves working his property in 1830. Records show that Nat married an enslaved woman named Cherry who lived on a neighboring plantation, and they had at least one child, a son named Reddick. Nat would have to obtain a pass from his masters to visit his family. Records show that he was outspoken in his beliefs that blacks should be free, and that freedom would be theirs one day; an opinion for which he was whipped in 1828. February 1831: there was an eclipse of the sun. Turner took this to be the sign he had been promised and confided his plan to the four men he trusted the most, Hark Moore, Henry Porter, Nelson Edwards, Sam Francis, Will Francis, and Jack Reese . They decided to hold an insurrection on July 4 and began planning a strategy. However, they had to postpone action because Turner became ill.
August 13, 1831: there was an atmospheric disturbance in which the sun appeared bluish-green. Turner interpreted this as the final sign. August 21, 1831: Turner, Moore, Porter, Edwards, Sam Francis, Will Francis, and Reese met in the woods to eat a dinner and make their plans. At 2:00 AM they launched the rebellion by entering the Travis household, where they killed the entire family as they lay sleeping, save for a small infant. They moved from one farm to the next, killing all slave-owning whites they found. As they progressed through Southampton county, other slaves joined in the rebellion. They continued on, from house to house, killing all of the white people they encountered. Turner’s force eventually consisted of more than 40 slaves, most on horseback. August 22, 1831: Turner decided to march toward Jerusalem, the closest town. By then word of the rebellion had gotten out to the whites; confronted by a group of militia, the rebels scattered, and Turner’s force became disorganized. After spending the night near some slave cabins, Turner and his men attempted to attack another house, but were repulsed. One slave was killed and many escaped, including Turner. In the end, the rebels had stabbed, shot and clubbed at least 55 white people to death.Turner escaped and remained free for nearly two months. In those two months though, the militia and white vigilantes instituted a reign of terror over slaves in the region. Hundreds of blacks were killed. White Virginians panicked over fears of a larger slave revolt and soon instituted more restrictive laws regulating slave life. Harriet Ann Jacobs, born into slavery in North Carolina in 1813, eventually escaped to the North, where she wrote a narrative about her ordeal of slavery. In Chapter Twelve of Incidents in the Life of a Slave Girl, Written by Herself, Jacobs describes the harassment of blacks in Edenton, North Carolina, following the rebellion. 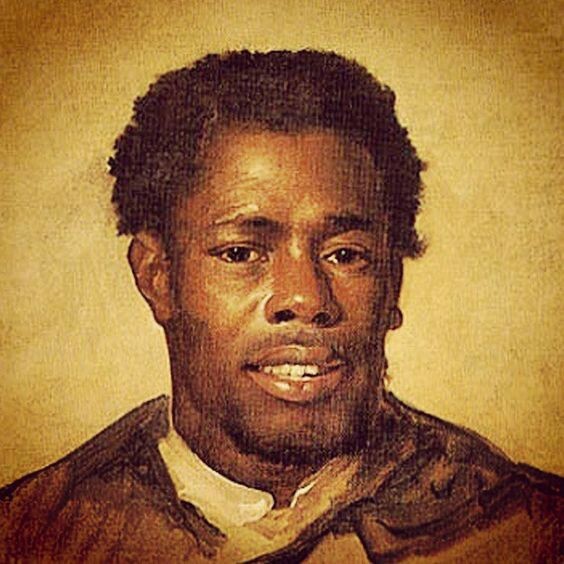 November 10, 1831: Nat Turner hung. He was buried the following day. No grave marker exists for Nat Turner, nor for his fellow soldiers. The rebels were caught, tried, and executed in different places, and their scattered remains lie under unmarked soil. The basic information for this blog entry came from Brotherly Love, a PBS article.